How many movies, spy or otherwise, have you seen a femme fatale pull a hairpin from her intricate updo to open the door to a restricted area? This movie trope feels like it’s so overdone and, with the technology available today, can make a movie feel outdated if it’s not done well. But that does beg the question: how much of that is movie hype and how much of that is fiction? Read on to learn more about whether picking a lock with a bobby pin is actually possible and why it works the way it does. 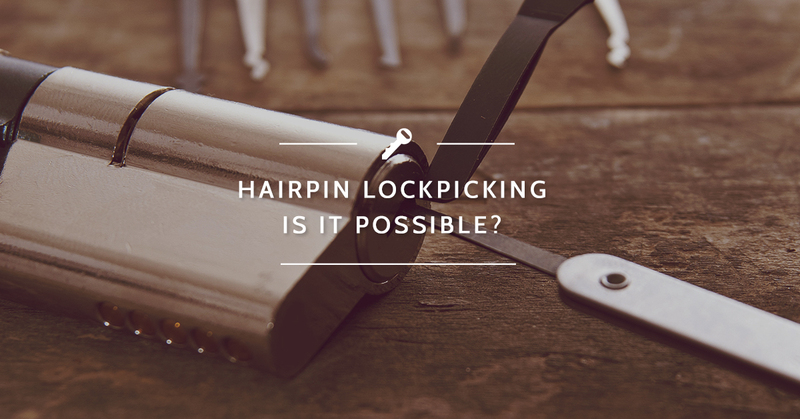 The first thing we need to clarify is that yes, picking a lock with a hairpin is possible – but only with some locks. For example, if you’ve ever had a young child lock themselves in the bathroom at home or a sullen teen refuse to leave their room, you may have had cause to try this trick. Fortunately, many inside door locks in homes are easy to pick from the outside for these sorts of purposes. If it’s a push-button lock, it probably just takes a jab from a hairpin through that hole on the outside of the doorknob. If it’s a twist lock, it may take a bit more finagling, but can still be done pretty easily with a bobby pin. 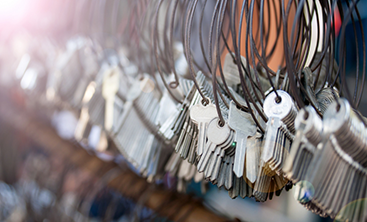 Many homes, at least shortly after construction and fixture installation, come with little turn-key devices made specifically for unlocking your home’s inside doors in case of emergency. The other standard lock style that can be picked with a couple of bobby pins is the 5 pin lock. 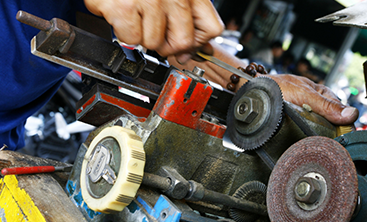 They are called this because the inner mechanism of the lock – the kind of lock used on your home’s deadbolt – has five pins that must be pushed up to a certain height by the grooves in your key in order to turn. Without all five pins being raised to the proper heights, they will block the cylinder of your lock from turning and prevent the deadbolt from sliding back and opening. However, with a bit of ingenuity and a great deal of patience, it is actually possible to pick a 5 pin lock open with a pair of bobby pins. One bobby pin will need to be straightened to create a narrow lever to hoist the pins while the other gets bent and serves as the stronger lever to actually turn the cylinder. The trick is figuring out how to raise all five pins of the lock up at the same time so you can turn the cylinder and unlock the deadbolt, all of which takes time, patience, and a bit of practice. If you’re looking for more security for the locks on your home or business, the team at Destin Locksmithing suggests an alternative that can’t be picked with a pair of bobby pins: a keyless entry system. With this, you get the security of a sturdy deadbolt lock but, instead of a key, requires the knowledge of a PIN number or code to disengage the lock. 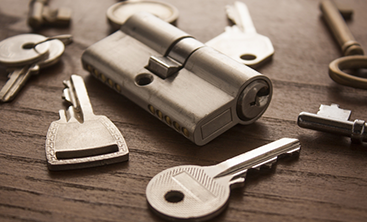 If you need a door opened, locks rekeyed, or keyless entry for your Panama City Beach home or business, call the trusted team at Destin Locksmithing today!